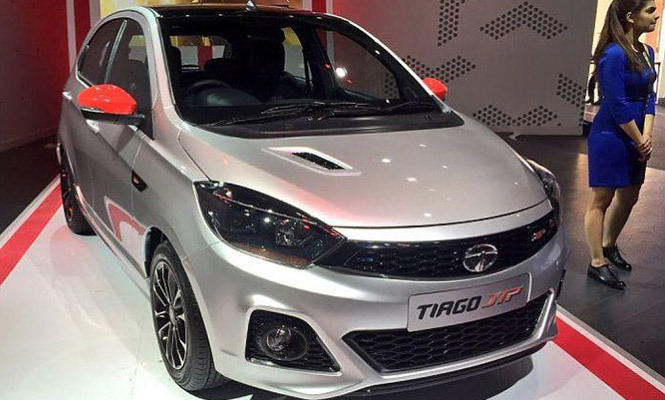 The JTP versions of the Tiago hatchback and the Tigor compact sedan were earlier showcased at the Tata Motors’ 2018 Auto Expo balcony along with the H5X and 45X concepts. Now it is speculated that this new hot hatchback and sedan will be soon up for sale in this upcoming festive season. President (Passenger Vehicle Business Unit) at Tata Motors, confirmed that the JTP model is in line with the launch soon. Incoming eight weeks, it will be crucial for the Tata motors as they will be introducing the latest models based on JTP and to confirm that it would be hatchback model first. 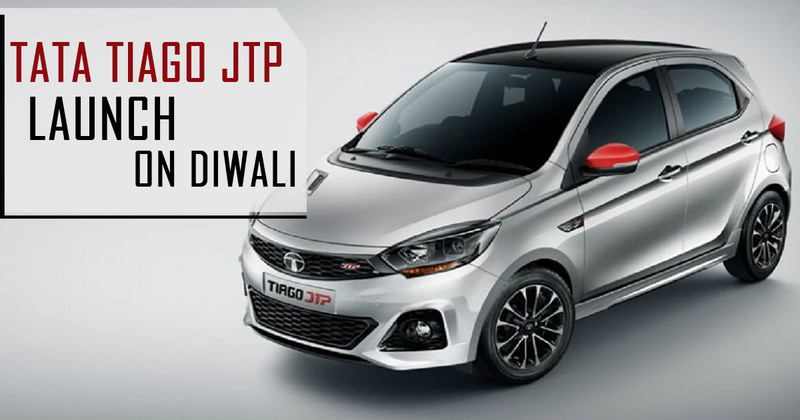 Manufactured by Tata Motors in collaboration with Coimbatore-based Jayem Auto, The new JTP Tiago will be a sportier version of the stock Tiago available right now in the Indian market. 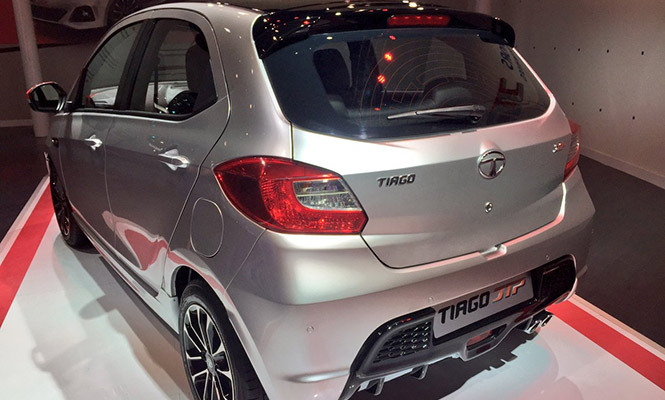 The Tata Tiago JTP will be having a 1.2-litre, three-cylinder turbo-petrol engine as same as Nexon. It would be giving out power and torque figures of 110hp and 150Nm. It is also known that the updated Tiago JTP will have an optimised ratio of gears on the standard five-speed manual gearbox. In the front, there will be a large air dam with extra large fog lamps. With new updates like Smoked projector headlamps, side skirts and a rear diffuser will make the car more sporty and visually appealing. On the tyre front, there will be diamond cut alloy wheels on the 15-inch rims. Coming to the inside of the Tata Tiago JTP, there will be all black theme with rich leather finished seating and steering wheels. It will also house a 5.0-inch touchscreen infotainment system attached with the eight-speaker sound system from Harman. The expected price for the incoming Tata Tiago JTP would be approximate 6 lakhs ex-showroom, but still, we have to wait for the final model and pricing at every state level.